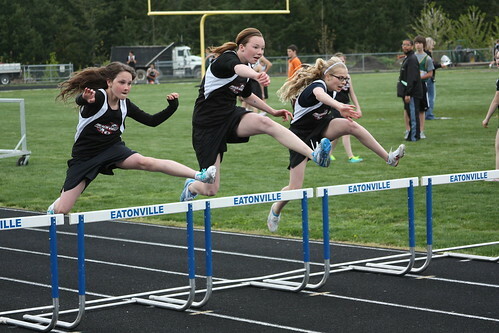 Synchronized hurdling, a photo by The Bacher Family on Flickr. I just love the way these three runners are all caught in identical mid-jump! The symmetry makes for a cool photo, don't you think?